Commonly called "Earth Stars", these terrestrial Bromeliads grow best and have the nicest color when given very bright light and good drainage. 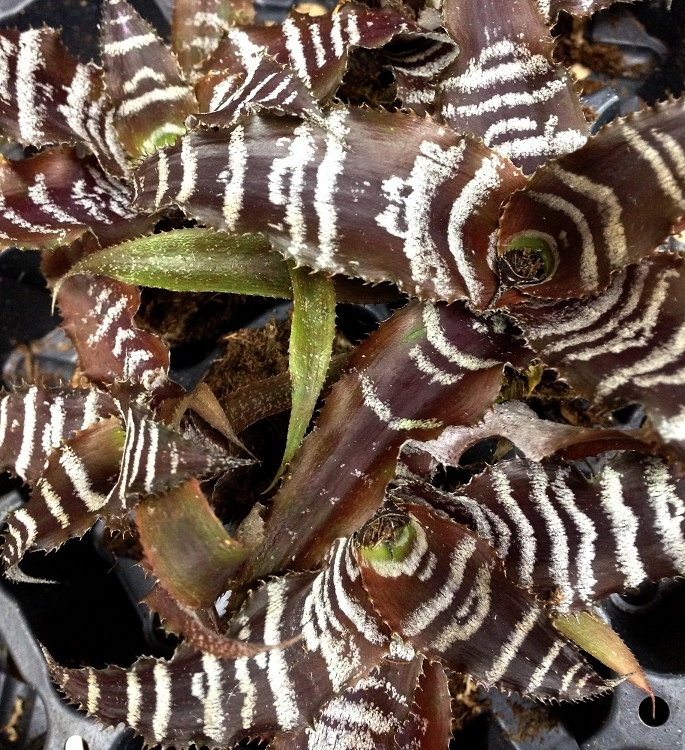 Dark, chocolate-brown leaves are striped with bright silver lines giving a stunning contrast. Plants mature to 8" to 10" across.